Free Comic Book Day is a fun time of the year for anyone even remotely interested in comics. Companies and stores pick out some select stories that customers can get for free, and some artists and writers even make comics especially for Free Comic Book Day. 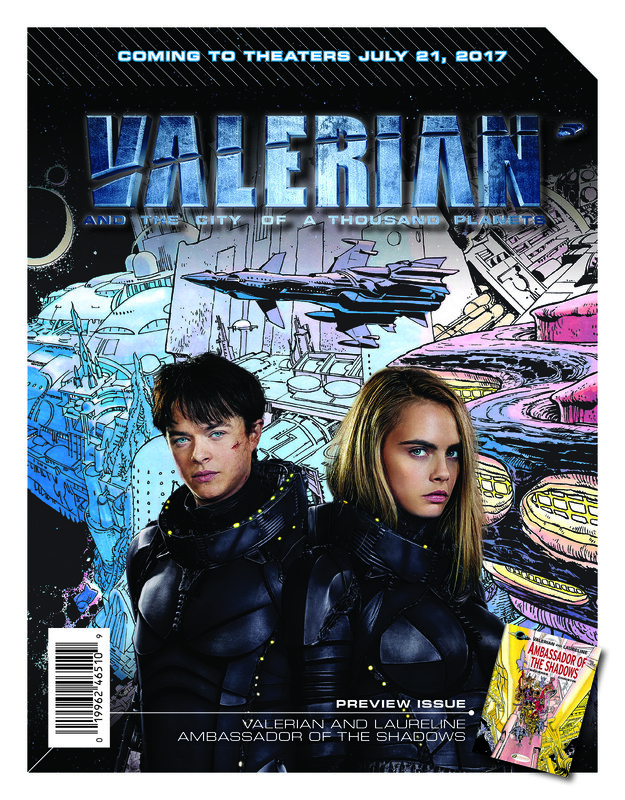 Luc Besson and the folks behind Valerian and the City of a Thousand Planets have put together a sneak peek of their new movie in the form of a preview comic that introduces us to the characters of Valerian and Laureline and details a few of their adventures. An exclusive 32-page free comic book will be available to fans on May 6, and will feature some of the stories that “inspired” the upcoming movie. As most probably know, Valerian was inspired by Pierre Christin and Jean-Claude Mézières’ Valerian and Laureline, a French science fiction comic series that was published from 1967 to 2010. It made a mark on Besson, who used some of the material for his 1997 movie The Fifth Element, but wanted to wait for the technology to catch up to actually make Valerian, his dream project. Other comics available for free range from Archie spinoffs Betty & Veronica and Riverdale, to new releases like Marvel’s Secret Wars, to mainstays like Buffy the Vampire Slayer and Wonder Woman. Valerian and the City of a Thousand Planets hits theaters July 21, coinciding with Valerian and Laureline’s 50th anniversary.